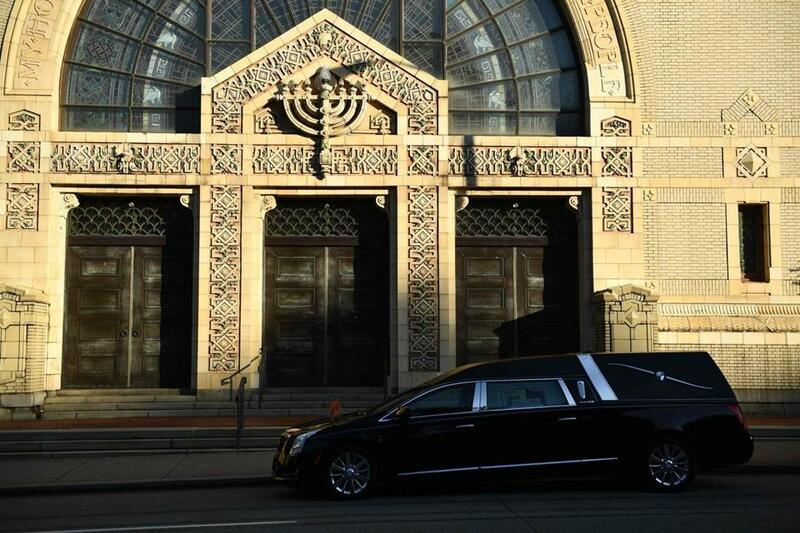 The funeral for brothers Cecil and David Rosenthal, both victims of the mass shooting at the Tree of Life synagogue, will be held on Tuesday, Oct. 30. The deadliest attack on Jews in US history hit excruciatingly close to home. I was born in Pittsburgh, raised a few blocks from the Tree of Life synagogue, in a tranquil middle-class enclave where 11 of my former neighbors were massacred for exercising their right to religious freedom. The backbone of Squirrel Hill is a vibrant Jewish community, but it’s more than that: It’s a multicultural, multiracial, multi-faith neighborhood that embodies the ideals of tolerance and kindness modeled by Fred Rogers, the late children’s television legend who lived down the street from my first home. As a kid, I could roam my leafy neighborhood unsupervised, catching fireflies in mayonnaise jars and racing Big Wheels, because neighbors looked out for each other. The Jewish Community Center is flanked by Episcopal and Presbyterian churches; Asian cafes are as common as Kosher markets. This was an attack not only on Jews, but a dagger in the heart ofMister Rogers’ Neighborhood — an attack on our rights and our values as Americans. Why did this man channel irrational fear and hatred into mass murder? He was active on right-wing and white-nationalist cavities of the Internet that have amplified President Trump’s dire and often false claims about Central American migrants. Does hateful, scaremongering rhetoric — or even a statement that there were “very fine people” at a neo-Nazi rally — normalize or incite violence? Alleged synagogue shooter Robert Bowers was clear about his motive. The question is whether Americans — and our political leaders — are capable of listening. My childhood friend Andrea Schneider, now a law professor and expert in alternative dispute resolution at Marquette University, is trying to figure out how those tools might help defuse inflammatory rhetoric that fans anti-Semitism, racism, and other hate. The answer begins with direct engagement with those spewing hate, and that’s hard. On social media, partisans get sucked into echo chambers where they amplify anger and conspiracies. In the widely studied phenomenon of “group polarization,” when like-minded people listen to one another and shut out opponents, they tend to become radicalized, on both the left and right. Cass Sunstein, a Harvard Law professor, writes that us-versus-them rhetoric makes extremist violence more likely than in its absence. “Evil,” “dangerous,” “animals,” “an invasion,” “a thief,” “the true Enemy of the People” are just a few labels the president has used to dehumanize opponents. While First Amendment case law means courts wouldn’t hold him culpable for incitement, it’s hard to imagine discourse more antithetical to the empathy and kindness Mister Rogers modeled. That begins, Li said, with mending our relationship to ourselves. Hate-criminals and mass murderers “invariably are people who have an utterly broken relationship with themselves.” Next, we must repair relationships with our neighbors, by not seeing them as threats. Finally, we need to restore “our relationship with creation. Global warming and our failure to stop it is about our broken relationship with nature,” Li said. Fix ourselves, our treatment of others, our world. After the deaths at Tree of Life, that message is powerful, and more resonant than any words that would continue to divide us. 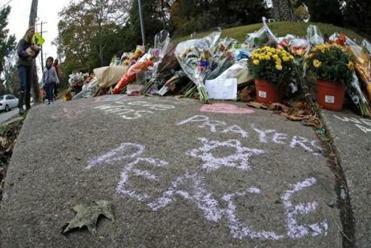 Indira A. R. Lakshmanan’s column from Washington appears regularly in the Globe. She is the executive editor at the Pulitzer Center on Crisis Reporting.